Do living things have all the characteristics of life? Explain with examples. Why is diffusion required for living organisms? Why can't cells be infinitely large? How is the structure of each organelle related to its function? 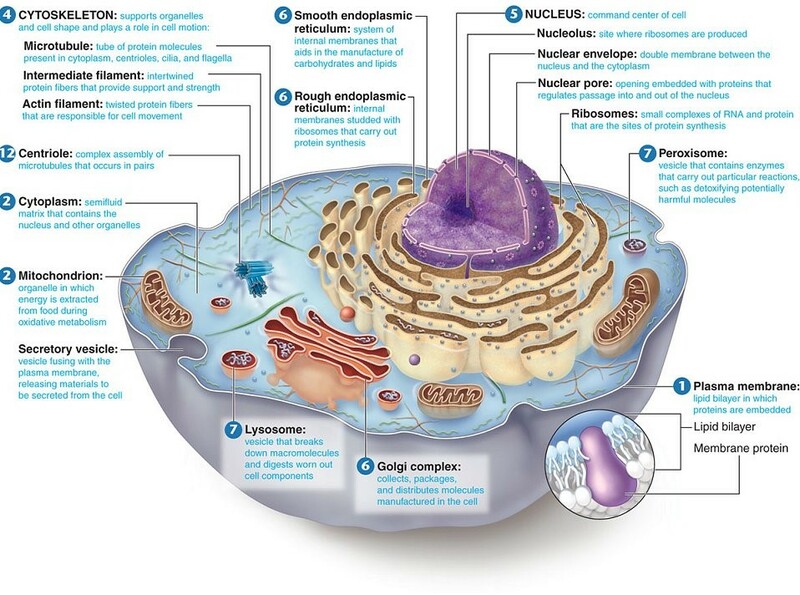 How do organelles work together to perform the characteristics required for life? ​What are benefits of each type of cell? Why can eukaryotic cells perform a wider variety of functions? ​What is the importance of cell division in living organisms? Interphase is often referred to as the resting phase, is this appropriate? What is the main characteristic of each stage of mitosis? What differences occur between plant and animal cells during division? What biological processes rely on mitosis? How is the behaviour of cancerous cells different than that of healthy cells? What are some common cell characteristics of cancerous cells? Why is it so difficult to find a cure for cancer? - Where do tumors get their energy from? ​-​ Does using artificial turf cause cancer? How does structure relate to function in specialized cells? How do cells that contain the same DNA/genetic material become specialized into different cell types? What is the significance of different types of stem cells? - What are Embryonic Stem Cells? What are the 4 main types of tissues? How are the structures of the 4 main types of tissues fundamentally different? What is the hierarchy or organization in living things? ​What is the main role of each organ system & its major organs? ​How do organ systems rely on each other in order to function? What are pros and cons of live organ transplant? What are other options available? - Innerbody interactive of the major functions of the body systems. What are the main tissues in plants? What are the main organ systems in plants? How do the organ systems in plants interact to allow for survival? - Can Plants Talk to Each Other?